Russian mezzosoprano Elisabeth Sergeeva was born in Moscow, Russia in 1994. She began her vocal studies at the age of 15 at the Gnesin Music University. In 2012, she debuted as 3. Knabe and later performed as 3. Dame in „Die Zauberflöte“ by Wolfgang Amadeus Mozart at the music theatre „Amadeus“ in Moscow. In 2013, Elisabeth sang Gianetta in Donizetti’s „L’elisir d‘amore“ in the Gnesin Music University. She continued her education at the Music and Arts University of Vienna (MUK) in the class of Yuly Khomenko (2013-2016). In June 2018, she completed her Bachelor in the class of KS Linda Watson. 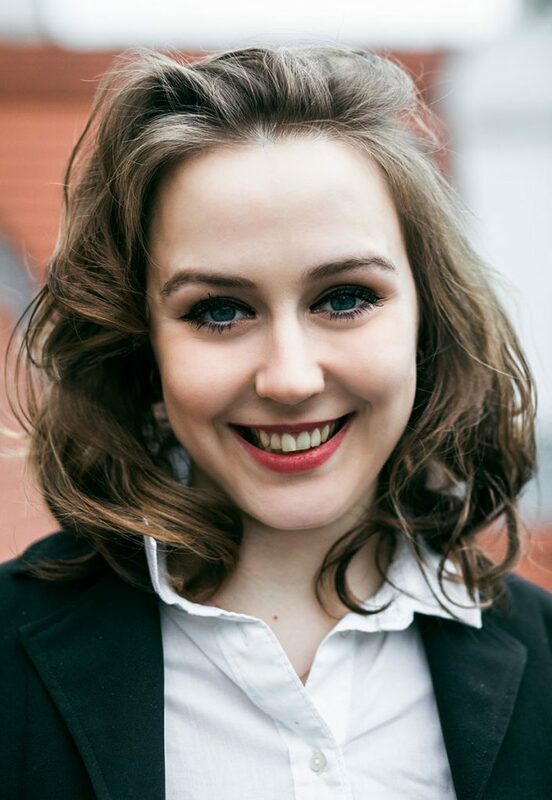 During her studies at the MUK, Elisabeth had an opportunity to perform various roles in different productions like Ganymed in „Schöne Galathee“ by Franz Suppé, Gräfin in „Die Opernprobe“ by Albert Lortzing, and Katharina in „Der bekehrte Trunkenbold“ by Christoph Willibald Gluck. She was also selected to sing among other soloists in the Wiener Musikverein H. K. Gruber’s opera „Frankenstein!!“. Elisabeth has worked with many eminent singers such as KS Christa Ludwig, KS Krassimira Stoyanova, KS Angelika Kirchschlager, and Marina Rebeka.